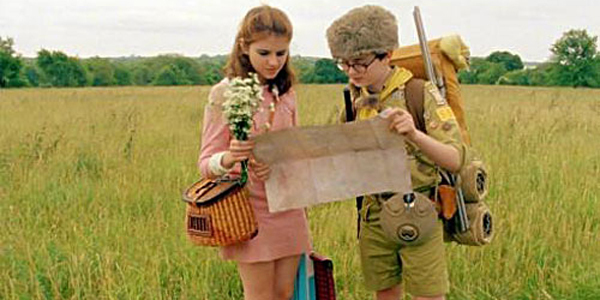 Moonrise Kingdom is a comedy set in the mid 1960's, where a boy named Sam (Jared Gilman) is discovered to have run away from his scout group. A note is left for Scout Master Ward (Edward Norton) who learns that Sam has fled with the equally young Suzy (Kara Hayward). We learn how they met and bonded through a flashback and that Suzy also has a fierce temper problem. Aiding Ward in the search for him are his fellow scout kids, who don't like Sam, as well as Captain Sharp (Bruce Willis). It is also revealed that Sam is actually an orphan and that his foster parents do not want him back in their home. Contrastingly, Suzy's parents Mr and Mrs. Bishop (Bill Murray and Frances McDormand) are angry at their daughter's disappearance and want her back. But it becomes apparent that their relationship is not on steady ground either. 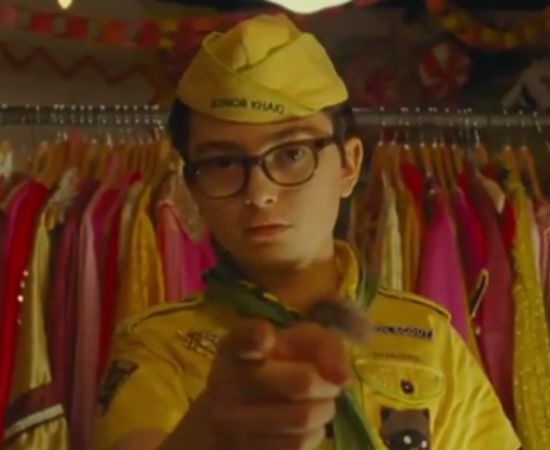 Moonrise Kingdom is everything I've come to know from director Wes Anderson and yet his film remains impossible to prepare for: it's regularly funny, original to a fault, but overstuffed and self-absorbed, like a never-ending sideshow of ideas and quirks. 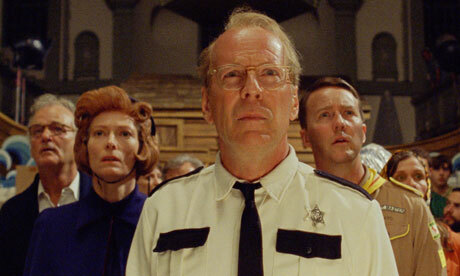 One cannot enter a Wes Anderson film expecting realism and gravitas. The success of his stylistic imprint is a cocktail of bizarre kookiness and offbeat behaviour, combined with minute observations about families that are in disarray or highly conflicted. His films succeed when they find the balance between these binary opposites, the absurd and the human condition. The Darjeeling Limited (2007) is Anderson's best film because he decided to rein in the chaos, with a deeper resonance established between the audience and the characters. By contrast, Anderson's weakest effort, The Life Aquatic with Steve Zissou (2004), amplifies the director's entrancement with his own imagination and auteurist control, regardless of whether the audience can unscramble its labyrinth of plotlines, characters and gimmicks. 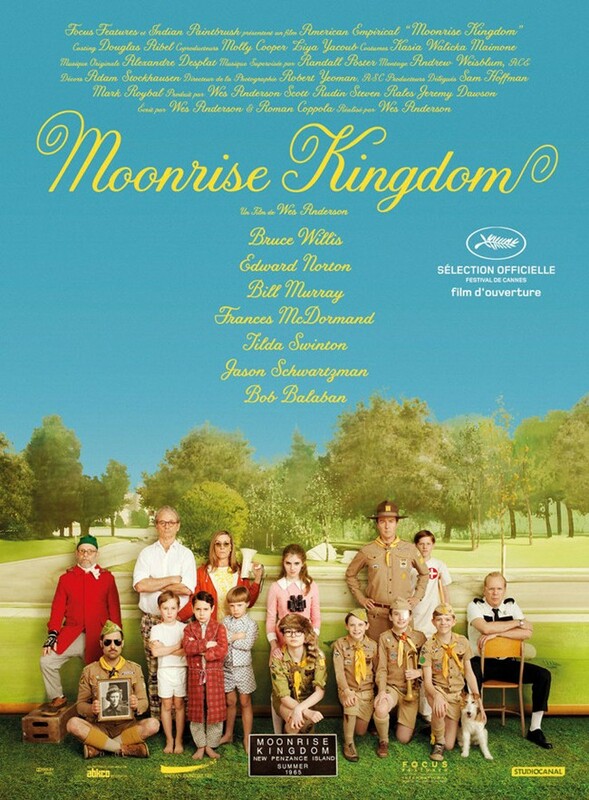 Moonrise Kingdom is the director's seventh film and it is as problematic and ambiguous as Anderson's work has ever been. I enjoyed the humour and the quirkiness far more than The Life Aquatic but was still puzzled by its density and occasional inaccessibility. At the very least, the film will evoke discussion between audiences, even if you think that Anderson has lost his marbles. The opening quarter of the film is terrifically funny, offering some unique visual stylisation to enhance Anderson's numerous thematic concerns. A piece of music plays and we're told through a voice-over that various instruments are playing the same tune but at different times. We then see the inside of a house, with a child in each room. The camera crabs sideways between them, which reminded me a lot of a dollhouse and the way that each of the individual pieces are revealed and moved by a force exterior from that structure. But what Anderson reveals through his formal control, is that people do not have to be bound by rules or greater beings. We see a deep corridor in the house and expect it to be a long shot. But Suzy walks directly into the foreground so that we can see her up-close. What I could deduce from this was that Anderson is concerned with contrasting perspectives of situations, particularly between adults and children, but also uncontrollable external forces in life, such as love, the environment or the metaphysical. These complex ideas run parallel throughout the entire and it's amusing for the most part. Dressed in military gear, Sam sees his adventure as a chance for deep romance but also to display his survival skills in front of Suzy. Her parents just want their daughter back and expectedly disapprove of their relationship. There's truth to this conflict between the kids and adults. Children often overdramatise and role-play, omitting their sense of reality to create their own world. 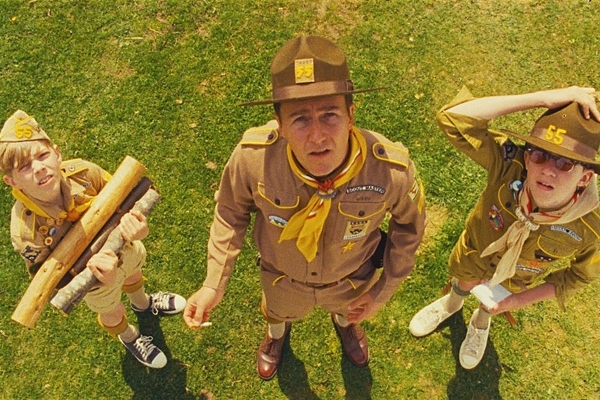 Look for a funny moment where Scout Master Ward asks the scout about their tree house. The camera retracts to a long shot, showing that they've built it several stories high into the air. The dialogue between some of the children, though some of Sam's conversations are unnecessarily cryptic, is also deliberately over mannered and serious to show how children speak dramatically, like what they've heard in a movie as a substitute for reality. What is also interesting about the film and its idea of contrasting perspectives is that it is not limited simply to the children. The adults seem to be as much in conflict with each other too. This induces some thought about the film's title. In very basic astrology, the moon refers to the instincts that are evoked in people. But the kingdom part could also refer to the hierarchy or social order of a land, in this case the island off New England. It seems necessary for the characters in this film to use their instincts in order to overcome the limitations of the social order. One of the more fascinating characters that I sympathised with was Scout Master Ward. His strict, orderly approach is shown through the panning of the camera as he inspects his troops. Yet even he has to answer to a higher scout master, who rips off his badge late in the film. It is only when Ward does something courageous that he can escape from conformity. It is also at this point late in the film that it starts to lose its magic when it tries to engage with both Biblical and metaphysical elements. Sam is struck by a lightning bolt but recovers instantly, a terrible storm also begins flooding the area and there are also people dressed in bird costumes. Is Anderson making allusions to Noah's Ark? Is he saying that like in the Bible story, people can craft their own worlds if they understand and acknowledge that there are uncontrollable forces like God? It provokes thought but I found that I was overwhelmed trying to decrypt not what was happening but why. Nonetheless, Anderson has assembled a very experienced and entertaining cast. The new additions as much as Anderson's regulars are well directed and pitched perfectly in delivering their deadpan lines. A lot of the dialogue is spoken straight faced and serious, which makes it hysterical. The only disappointment with the cast is that Tilda Swinton and Jason Schwartzman are criminally underused. Why is it essential for Anderson to cast them if he's barely going to use them? This is the complexion of Wes Anderson as a filmmaker. Few modern writer/directors are as unique or as imaginative in how they represent the disunity of family. He certainly doesn't need to simplify his work. Rather, to build on the foundations of a potentially great filmmaker requires clarity of theme and image for the audience. No matter how much a King might think of himself, he must answer to his people.